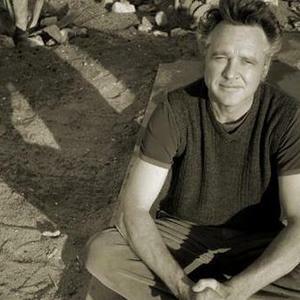 Mark Olson is one of the founding members of acclaimed alternative country bands The Jayhawks and The Original Harmony Ridge Creek Dippers and a respected singer/songwriter in his own right. Olson formed The Jayhawks in 1985 with singer/guitarist Gary Louris and was originally the principal singer/songwriter in the group. Along with Marc Perlman (bass) and Thad Spencer (drums), they released their eponymous debut album in 1986 through independent label Bunkhouse Records. Olson formed The Jayhawks in 1985 with singer/guitarist Gary Louris and was originally the principal singer/songwriter in the group. Along with Marc Perlman (bass) and Thad Spencer (drums), they released their eponymous debut album in 1986 through independent label Bunkhouse Records. The band were signed by Minneapolis label Twin Tone in 1987 and released their sophomore effort Blue Earth, which saw Louris sharing more songwriting and singing duties with Olson. It was this album that led the band to be signed by major label Def American - A&R representative and producer George Drakoulias is said to have heard Blue Earth playing in the background while on a phone call to Twin Tone in 1991 and signed the band later that year. Their first album for Def American was the Drakoulias-produced Hollywood Town Hall in 1992. After a successful single, Waiting For The Sun, and extensive touring the band went back in the studio and released the follow-up, Tomorrow The Green Grass in 1995, which yielded the radio hit Blue. The same year Olson quit The Jayhawks to look after wife Victoria Williams after she was diagnosed with multiple sclerosis, and the band continued without him, releasing three more albums before calling it a day in 2006. For his post-Jayhawks career, Olson decided to return to his folk and country roots and with the help of his wife Victoria Williams and multi-instrumentalist Mike "Razz" Russell, self-released the well-received album The Original Harmony Ridge Creek Dippers in 1997. The trio teamed up again for the 1998 album Pacific Coast Rambler and 1999's Zola And The Tulip Tree. By 2000 Olson was confident enough to give an album his own name, releasing the autobiographical My Own Jo Ellen under Mark Olson And The Original Harmony Ridge Creek Dippers. Two more albums recorded with The Creekdippers followed, December's Child in 2002 (which saw him reunited with former bandmate Gary Louris for the first time in seven years on the track Say You'll Be Mine) and Mystic Theatre (which also featured Victoria Williams) in 2004. The same year saw the release of another Creekdippers album, Political Manifest. After splitting from wife Williams in 2005, Olson paired up once again with Louris for two short tours in the winter of 2005 and the spring of 2006. He released his acclaimed solo album, The Salvation Blues, in June 2007. An album with Louris is also expected later this year.